Winding Down the Year but Winding Up To Believe! As the year begins to wind down this is also the beginning of the season of gratitude and believing! Please let me gently make something very clear. Many dreams still wait in the wings. Many aspirations are just within our grasp if we keep stretching. Many hungers need nourishment. Many yearnings must be acknowledged, so that they can be fulfilled. Many authentic sparks must be fanned before Passion per-forms her perfect work in you. So let’s throw another log on the fire….This is not the day you quit! This is not the day you set your dreams aside! For this is the season and day you stare down every naysayer in your life, including you who doesn’t believe your dreams are possible to come true. Finally. And now you all know that faith is the substance of things hoped for, the evidence of things not seen. This is the season and the day that you shout, “I Believe!” Keep on shouting it until you’re hoarse. No more muttering under your breath. Do you know what happens every time a child says, “I don’t believe in fairies!” A fairy falls down and begins to cry! Do you know what happens every time a Lightworker says, “I don’t believe. It’s taking too long!” The Angels cry! This is not the season to stop believing in your DREAMS! This might be the time to wind UP! We simply can’t afford the luxury of skepticism. And what must you believe with every breath, until you do believe again? This is the time of the mystical alchemy the Spirit of the Season! Yes, we might be winding down the year but let us not wind down on gathering in groups for world peace or gathering in groups to work with the alchemy energy that is avail-able at this time. 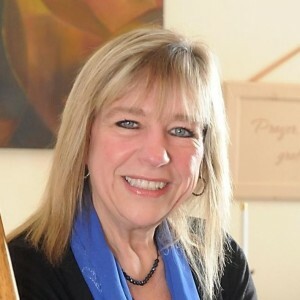 So I am going to personally ask you all to keep on believing that you have the passion, intelligence, brilliance, creativity, wisdom, clarity, depth, and savvy to find that quiet center of solace, serenity, and strength necessary to create and sustain an authentic life and to keep joining us at the Hope Interfaith Center to create the New World! An authentic spiritual life is the most personal form of worship and the best gift you can give to yourself as well as the world! Oh, I thank you Charles Dickens! Because he is the person who wrote, “Would that the spirit of Christmas, like the nature of the Beloved, could live within our hearts every day of the year.” This is the time to BELIEVE! This is the time to wind up! This is the time to gather together! This is the time to celebrate! Don’t get distracted by the business of this Season! Cast a wider net. Pay close attention to your dreams. Follow your urges. Honor your hunches. Use intuition as the spiritual tool that it is. Consider coming to a spiritual service or two, or perhaps a class or one of the wonderful group gatherings that we offer. Be rereceptive and alert. See how many celestine moments you can accumulate in the course of a day. The more you are open to the magic of this season, the more magnetic you will become to receive your dreams to come TRUE! As I bring this forth, I want you all to know that I sat at my little altar at home for a few moments before I went into deep prayer and sacred communion. I chanted a Mantra to the ONENESS for several hours and was reveling in a sublime state of Divine connectedness. I could feel the Presence of the Divine Mother/Father within my body, as it swayed with the joy of the Presence of the ONE. The sweet smile on my face which for me signals the Presence was on my lips. And the deep sense of complete LOVE from within my heart I knew I was completely connected. In this moment, all was well in my world. My child you are now free from thought and you are unable to conjure up thoughts within you. Because you have lost your identity as Janice or Hope or even Mother Hope, you are not the “you” that you think you are. You are ME and I am YOU! There is no separation between the ONENESS and you. Please tell all others of this truth as well. We also want you to tell them that there are no should or should not’s in any of your situations. You are just choosing from a menu of infinite possibility and the selections are great. We would just tell you that your choices of which you are making for your highest good and the highest good of all. You are not required to make those selections. We are just asking you this question so you can reach your permanent stage of JOY and BLISS! Remember there are no failures here. Just outcomes from your choices of which you have chosen to create. Any scenario that is happening in your life is an energetic experience that you are participating in. If you do not like where you are at then you also must know that it is not necessary for you to make these choices. The option to abide in the Divine Connection that is so very Present is also an option that you are welcome to choose, and to experience. You have the power and abilities right now within you to make other experiences in your life. And if you continue to listen to truth you will realize that ONENESS is already your nature and your natural existence. This is time to have a monologue with your hearts. So hold them tight and reach inside and feel your own personal powers and abilities. Continue to ride the waves and rejoice in the journey and know you have the power to change everything in your life. One does not need to “qualify” in some linear fashion for the experience of BLISS! You are the creators! So make your choices and realize at any moment you are able to make another. Suspend your mind within your heart and see how the Eagle and the Condor have come together within you. The identity of who is speaking in this instant is ONENESS. There is no one home inside Hope. There is only ONENESS. There is no separation between the one whose identity characterizes herself as HOPE. It is also the same for you! You are all flowing in the ONENESS NOW! Enjoy and Rejoice for there is only ONE BEING. Once, long ago, rulers in India kept monks close to their courts. They knew about energy expansion and radiation and they knew that daily meditation for peace had a calming effect on the populace. The kings took care of the monks so they could care for society. Even in medieval Europe, villages felt protected against robbers in the presence of a nearby monastery. This ancient wisdom is being rediscovered and used at the Hope Interfaith Center and we are very proud to be connected to other groups who are gathering to create world peace. The idea that groups of meditating people can influence the societies around them challenges many people. I also know that many people’s lives are extremely busy and believe that solo meditation is just as good. But I have had an opportunity to go to Fairfield, Iowa and do some T.M. meditation and also study a bit about the Maharishi who I believe was a remarkable Indian Guru who came to inspire Westerners to meditate for world peace. Also, I am staying connected to a woman in Peru who is helping me explore the sacred science of shamanic techniques. I am learning more and more about the fascinating body of research on our consciousness that seems to prove that group meditation has the potential to reduce violence and conflict in the world. Especially with this incoming energy that is bathing the Universe at this time, I know it’s still hard to believe, yes. But more and more rigorous research is showing the impact of group meditation which exceeds that of any other ongoing social or psychological research program ever done. This research is still going on and on and it has survived a broader array of statistical tests than most research in the field on conflict resolution. The findings on group meditation for world peace have been startling. And, if you want to dig into this more please do so and pass on this information to me. For I am dedicated to bringing people together in our temple at the Hope Interfaith Center to blaze light and love unto this beautiful planet. When groups of dedicated people gather together for the intention of world peace the group has an increased coherence and it is said that the energy of this intention has a “spill over” effect. When you come to these groups and participate fully the participants are more awake, they see the big picture and are more positive. They radiate an energy that magnetically enhances their own personal lives. Your life can take on a certain magical energy that helps you flow verses always being in a struggle with life. When people come together in groups at the Hope Interfaith Center their brain waves synchronize and then we synchronize our group energy with all the other groups around the world and we create a Tsunami of LOVE and we watch it ripple around the world. The impact of synchronizing our energies affect the Global Consciousness and the behavior of random systems changes around the world. If we all would look to the principles of quantum physics we could all agree that our temple is making a difference in our world. 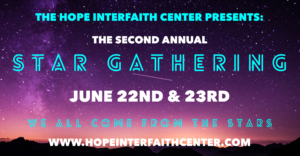 Now, at the Hope Interfaith Center, we provide a place and form groups that intentionally connect with other groups around the world to create a sophisticated, powerful, potent energy of an ocean of LOVE. We are peacemakers! During this fall and winter I am sending a clarion call out to you my friends to come check us out. We will be having ongoing group meditations for world peace at our center. At each of our spiritual services this fall and winter we will be doing a 10 minute powerful period to synchronize our heart-minds for the intentional purpose of bringing peace upon our planet. Now if everyone who comes to our Spiritual Services only invites one other person to our temple the second Sunday of every month the vibration and frequency will double in size immediately. We at the Hope Interfaith Center are a peace loving community that is dedicated with our actions and not just our talk to creating peace on Earth and good will for all! Please continue to read up on the other groups and events that we offer at our temple. I am sure you will find a place in one of the many groups that we offer. I am writing this letter while staying up at Tofte, Minnesota at the Chateau LeVeaux overlooking the beautiful Lake Superior. Something is happening to me as I sit and celebrate my 60 years of living on planet earth. I am writing this letter during my birthday break because I am also thinking of you my HIC friends. So I wanted to share with you some of the information that happened to me when away from the center for a few days. I am a woman who has an affinity to give and has a problem receiving. So as I sat by this beautiful lake I received an invitation to inwardly listen and watch for my next steps in this new decade of my life. I was told to get a big, beautiful wide glass vessel and was being instructed to go down to the lake and get water to fill it with. Every day for five days I was requested to empty the vessel and then the next day fill it back up with the lake water. I am sure Spirit and my guides from the ONENESS are teaching me to also have infinity to empty and just receive. So, I dedicated my alter in my condo to this vessel which represented me. This is why this letter for this summer is called “Receptivity”. As human beings, we are largely uncomfortable with receiving, and instead are conditioned to give. But this conditioning can deny us of what is also natural but to receive as well. We humans for some reason are the opposite. We tend to get hung up on producing, giving, and nurturing for others and we do, do, do and do. I think many of us have a hard time taking in and truly receiving. Most of our society and many of our backgrounds in our religious up bringing taught us not to value receiving. In fact one way women avoid it is through an ongoing, habitual involvement in nourishing others but not themselves. Now I am not asking you or I to stop giving but I am asking all of us to stop and smell the roses this Summer. I will be the first one to admit that this is still an uncomfortable topic for me. I have been one of those women who have an ongoing, habitual involvement in nourishing others. So, I intentionally took time out from my daily life to come to a place that makes my heart sing. Something happens to me every time I am up by this lake. This is a very powerful place upon this planet right now. We are so lucky to be living so close to a spot that is filled with light. Most of you know that I had the opportunity to interview Christine Day. She is an ambassador to the Pleadians and she has been opening up portals in and around this enormous lake. I most certainly can feel her energy while being up here. I am receiving! I am receiving! I am perhaps finally learning how to receive! Wow, it is my wish that all of us this summer slowdown and receive. Tomorrow, at this lake it is supposed to rain. I am told now to watch how this mighty Lake Superior receives. I am told to take my big, beautiful vessel down on the rocks and watch it fill up with rain that will be coming from the rain Goddess. I am told to get wet, even wild or just relax and laugh a lot. I am being told to smile and remember what the feeling feels like when I receive. I will inhale and I will receive and I will get wet and I will even get a bit wild. I will open up to the frequencies of brilliance. I will listen to the transmissions of Christine Day’s and I will receive in this sacred moment an opening to the new dimensional structures and realign with the new birthing desires of my heart. And I will continue to do this for not only this summer but for the rest of my life. Join me won’t you! Let us join together to receive the feeling of our true force of light and beauty and it will transform us on so many levels. As this will also help transform the world. For WE are All ONE! Christine and I and Patricia Diane Cota Robles believe that we are in the middle of change right now and we are to expect the unexpected and yet continue to align to our heart center, breathe and let go and receive. This is the time for each one of us to just be “in the moment this Summer”, taking one step at a time, not trying to project what will happen, or how it will happen or even what is happening. This would bring the energy right up into our head. This change that is happening is not an intellectually event. It is a heartfelt event of our many life times on planet earth. Let us all this summer be in the moment, be positive and trust that the world is in good hands and going up the right path. We are all playing a role in this most eventful occasion on planet earth. We at the Hope Interfaith Center will be offering some NEW groups this summer that you just might really like. Please continue to read on and always know that you are welcome for any event as we join together to create the NEW EARTH! May we all enjoy the art of receptivity! There is a pattern of perfection that happens in Nature. I see it in every season we have in our wonderful state of Minnesota. Many people would agree with me that each season has its own unique beautiful, perfect pattern. I truly enjoyed my summer with all of the new things that happened at HIC. We got new beautiful carpet in our Great Room. And of course we received the beautiful gift of our new gazebo on our land. Now we are into the season of autumn and the pattern of life continues to change and transform. Do you know that there is another pattern of perfection at the center of your being which has never been touched by disease or misfortune? Your intellect senses this through intuition, your imagination feels it by divine right, your inward consciousness knows it through faith. This Spirit of Oneness neither sleeps nor slumbers nor forgets who it is. Any maladjustment in your life will be healed when you realize this perfect pattern center within yourself. The vision you must catch and hold is the consciousness of a union so complete and perfect that you find no difference between your own inner being and the beloved Source. The two are ONE. I know that other thoughts and teachings from our world can uproot you and make you doubt this union. I know that we have all been inundated with ideas of our non-perfection. But here at the Hope Interfaith Center we teach about our ONENESS with Source and the walls come down. Pure Love is anchored in the heart of all humans and it becomes the main attribute, depending, however, upon the individual’s evolvement for its expansion or stagnation. From a person in whose being Love has been awakened there is always a conscious radiation of peace and good will that steadily goes forth from the aura. It is felt, practically by any one that comes in contact with them. When we remember who we are in our actual life we have the power to reverse old thought patterns by definitely knowing that they can no longer operate through us. This is more than a theory. Thoughts and feelings of peace will reverse thoughts and feelings of confusion. A consciousness of faith will reverse fear. Thoughts and feelings of LOVE dissolve hate. It has been determined by the Beings of Light that what Humanity needs the most for the dawning of this New Age is for humans to raise their consciousness above the human miscreations. We need now to pierce through the density of this illusion and enter the realms of Illumined Truth and create the NEW WORLD. So, we at the Hope Interfaith Center provide classes, events, private teachings that help open up people to become the continuous flow of love and light. It’s time to increase our efforts to hold a frequency of Pure Divine Love. So join us for anything and you will see the reason to come. Even our Spiritual Services will help you to increase your vibration and they are designed to help you hold the vibration of LOVE. Our Mother God and Father God essence is returning to the earth in patterns of perfection through us. I so enjoy seeing all of you when you come to the temple. Please come and join our community and help us create the new patterns of perfection through a group commitment of coming together with the intention to only project LOVE. These are words written by Amorah Quan Yin. And, these are words I read sometime long ago as I started my journey of exploration and teaching. Leaders like you and I have been given the spiritual job of externalizing the Spirit of Love on this planet. As always I have tried to tell as many people as I can that the transformation of this planet is up to normal, beautiful Light beings just like us. We are the ones materializing the DIVINE PLAN ON EARTH. Therefore, we are being called to be in a constant state of remembering our perfection. The divine plan cannot work without each person fulfilling his/her puzzle piece and gift. Each of you has a vibrational soul signature that is uniquely yours and by these four soul aspects you can begin to know your puzzle piece. These are the four soul questions to ask yourself. PLAY – What is your preferred way to explore and experience that world, your most playful way to create/work/do life? PASSION – What concepts, thoughts, ideas stir excitement, joy, interest, desire in you? What passion do you want to devote your life to? GIFTS – What are your gifts, talents and abilities that keep you in a place of joy? GOODNESS – What do others feel and experience from being with you as you offer your gifts while you play in your passion and in joy? Our core essence is encoded and held in our soul as the individual expression of SOURCE LOVE sent through our own unique form, called our SOUL SIGNATURE. When we place this SOUL SIGNATURE out into the world we are doing our puzzle piece on this planet. You can make a difference in this world at any moment just by smiling at another person. You can actively take part in the planetary ascension process this very day by transmitting your inner light to all the people you meet. But most importantly: you can significantly improve your own quality of life by acknowledging in yourself the unique and exceptional being you really are. This is the most beautiful gift you can offer to humanity: to honor and integrate your divine Light in all the dimensions of your being, and to let this radiate to the entire planet. Please take this personal invitation to join us at the Hope Interfaith Center to celebrate and share your divine essence in our community of Love & Light. Mark your calendars for some exciting opportunities of personal growth and please join us for Spiritual Service on the 2nd Sunday of every month at 10:00 a.m.